​I find one of the best places to pick new ideas and resources is during education related Twitter chats. #WhatIsSchool - WhatIsSchool is an award winning #edchat which provides teachers from around the globe a voice in shaping the future of education. 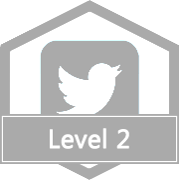 #NT2t (New To Twitter chat) - #NT2t is an edchat session designed for teachers that are new to twitter. Supported by a plethora of experienced educators, #NT2t aims to help new tweachers to navigate the twitter-universe by recommending who to follow and how to tweet. #NT2t is also a great place for sharing best practice and exploring how to integrate technology to enhance teaching and learning. #NT2tEU - Similar to #NT2t but timed more convenient for EU based educators, #NT2tEU is a weekly Twitter chat where a team of experienced educators, including a variety of influential guest hosts, discuss topics such as how to get the most out of twitter and how to expand your PLN (Personal Learning Network). #PrimaryRocks - A twitter chat for all things primary. ​​Using hashtags on Twitter - Official twitter guide to using hashtags. 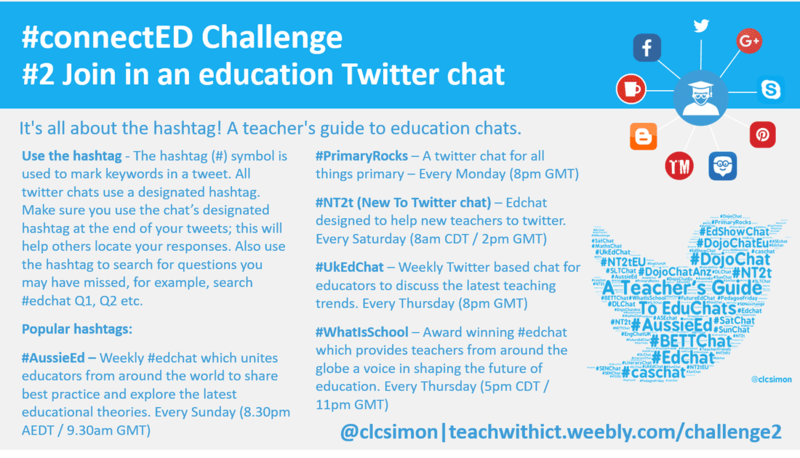 It’s all about the hashtag: Essential #EduChats for Teachers - List of education hashtags by subject. 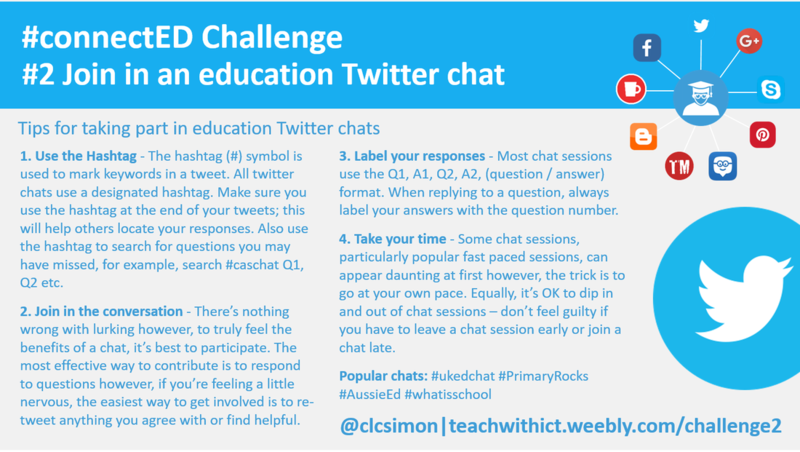 Tips for taking part in Twitter chats - Tips for taking part in Twitter edu chats.